Hey, the Fall 09 preview for Knotions is up! And what’s this? 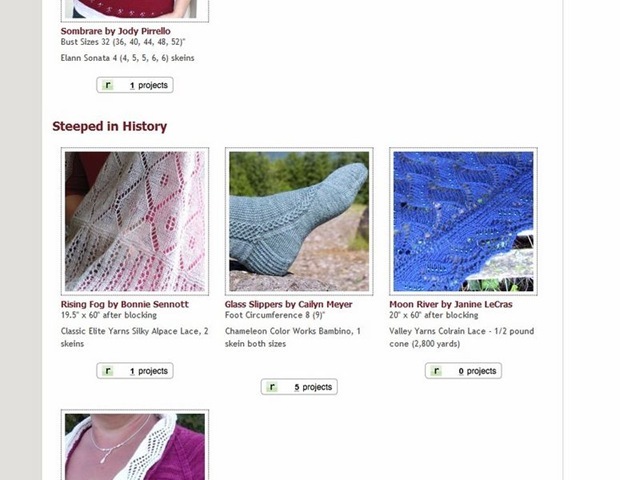 Is this one of my patterns there under “Steeped in History”? Why, yes, I do believe it is! Glass Slippers are top-down socks with elegant twisted stitches down the side of the leg and across the top of the foot. The twisted stitches are surrounded by moss stitch and stockinette. A cable needle is optional; the traditional way of working these tiny cables is without one. The toe has been modified to avoid grafting. The full issue will be up next week, with more pictures and the pattern for free. There’s some great projects in this issue- it’s humbling to be in such great company. I’ll write more about my pattern here then. Very nice, I know I should know this, but is this your first published pattern? Where is the free pattern of glass slippers? I’d love to knit them!